ZOTAC’s insanely powerful GeForce GTX 1080 PGF edition graphics card has been teased. Being one of the many custom models which will be available after launch later this month, the GeForce GTX 1080 PGF edition graphics card will come with a serious cooling design built to handle the beefy PCB under its hood. This card will be clock in at higher frequencies compared to the reference variants which will be available at $699 US. The ZOTAC GeForce GTX 1080 PGF is a custom build graphics card with a beefy design! While the GeForce GTX 1080 reference edition graphics card (now known as the Founders Edition) will hit store shelves on May 27th, NVIDIA partners will also have some custom models available. GALAX, Gigabyte and many others have already teased their upcoming custom models so Computex is definitely going to be interesting. All cards will feature new cooling designs and custom-built PCBs to ensure best products for enthusiasts. The latest card to do the rounds today is from ZOTAC. 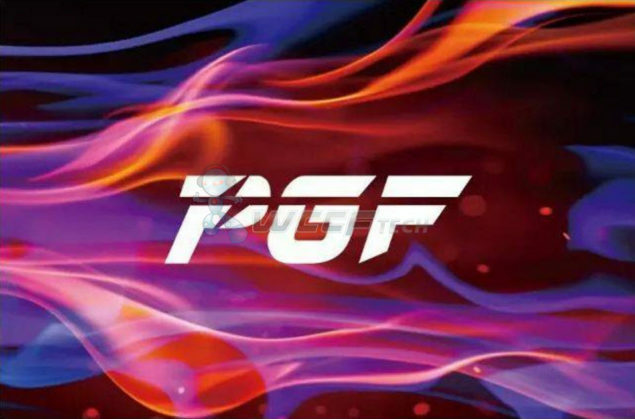 The ZOTAC GeForce GTX 1080 will be part of the new PGF series where PGF stands for Prime Gamer Force. It sounds like a new series since we haven’t seen ZOTAC use such naming schemes on their cards before. The GeForce GTX 1080 PGF looks like a beefy card and comes with some insane features. The internals of the reference GeForce GTX 1080 were covered in detail yesterday. ZOTAC’s latest PGF brand is geared at the GeForce 10 series cards such as the GTX 1080 and GTX 1070. First of all, the specifications. The NVIDIA GeForce GTX 1080 features the GP104 GPU (GP104-400-A1) core which comprises of 2560 CUDA cores. NVIDIA’s FinFET architecture allows significant increase in clock frequency increase. 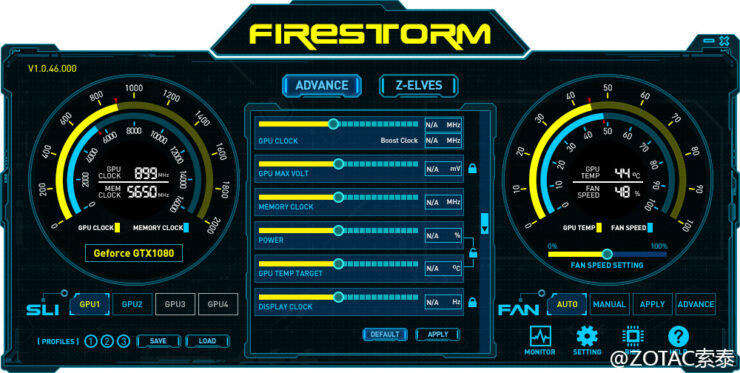 We don’t know the exact clock speeds for ZOTAC’s model but they are said to be much higher than the reference variants which run at 1607 MHz base and 1733 MHz boost clocks. The card features 8 GB of GDDR5X (next-gen) memory featured across a 256-bit bus. The memory is slightly overclocked so we will see total band width exceeding that of a GTX 980 Ti (336 GB/s). The cooler on this card looks to be the a slightly modified version of the current AMP! 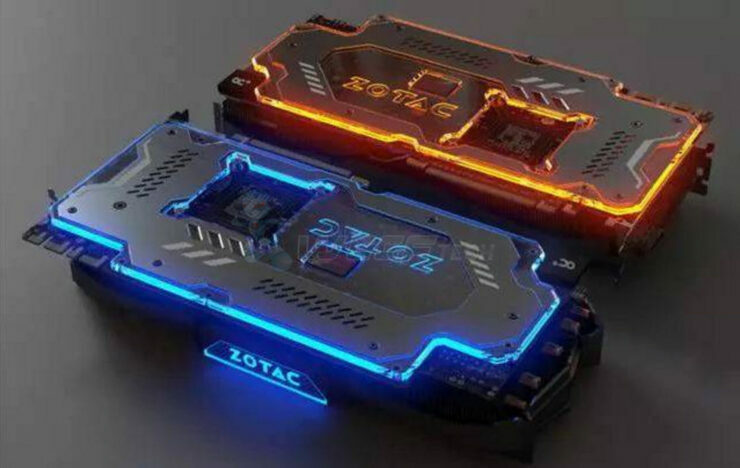 Extreme edition that is offered by ZOTAC. There’s a large aluminum heatsink which incorporates five massive heatpipes. The backplate on this card is an attraction which is fully LED lit on its borders. 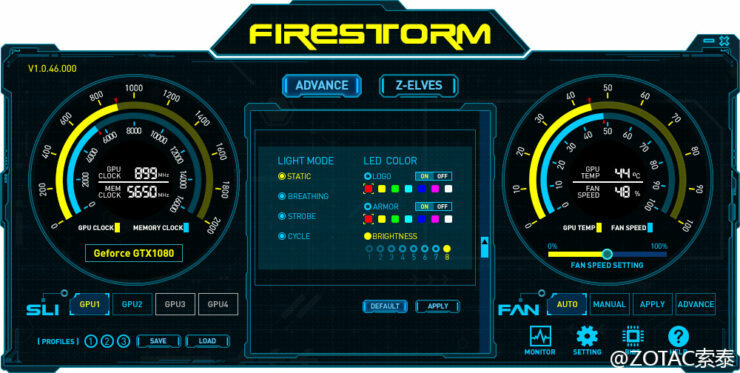 ZOTAC’s Firestorm utility will allow you to adjust colors to your preferences. 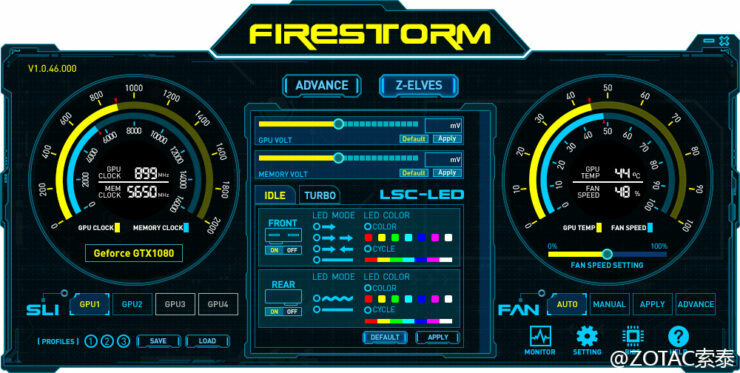 You can learn more about the Firestorm utility and its features at Videocardz. We can see that the PCB uses high quality components such as the Power Boost 2.0 capacitors which allow stable supply to the core when running under overclocked conditions. There are also a few overclocking friendly features such as a USB connector that allows you to control some functions of GPU. The card uses a dual slot design and will be powered by dual 8-Pin connectors which means that overclockers will get full freedom in utilizing the maximum power of this board. The card sticks to the reference display out put scheme. Overall, the card looks great but we can’t wait to see more of it. The ZOTAC GTX 1080 PGF being a custom design will hit retail at a price close to the $699 price point due to its non-reference build.